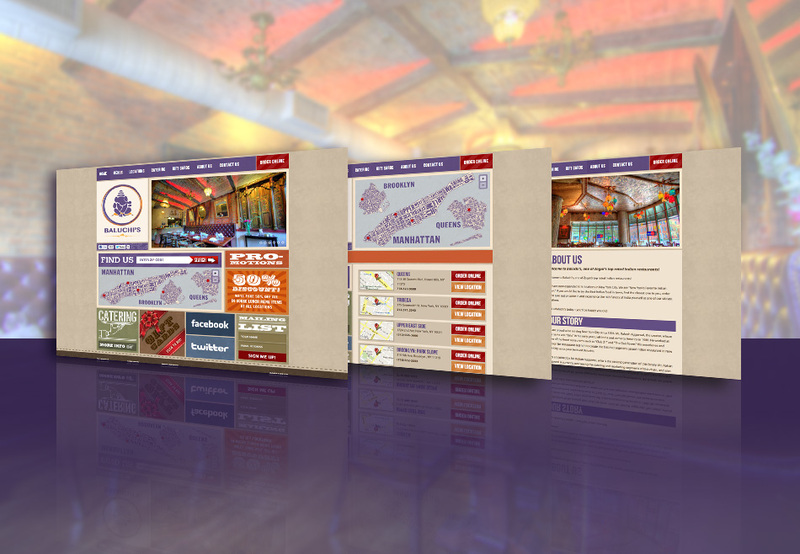 Baluchi’s Indian Restaurant, one of the most well known chains of Indian Restaurants in New York City with 5 locations in the Five Boroughs (and growing), came to TVI Designs for a full rebranding and site redesign. Baluchi’s needed a website that rebranded them as fun and hip but still communicated that they’re a traditional Indian Restaurant. The end result was a happy client and an award-winning site design. 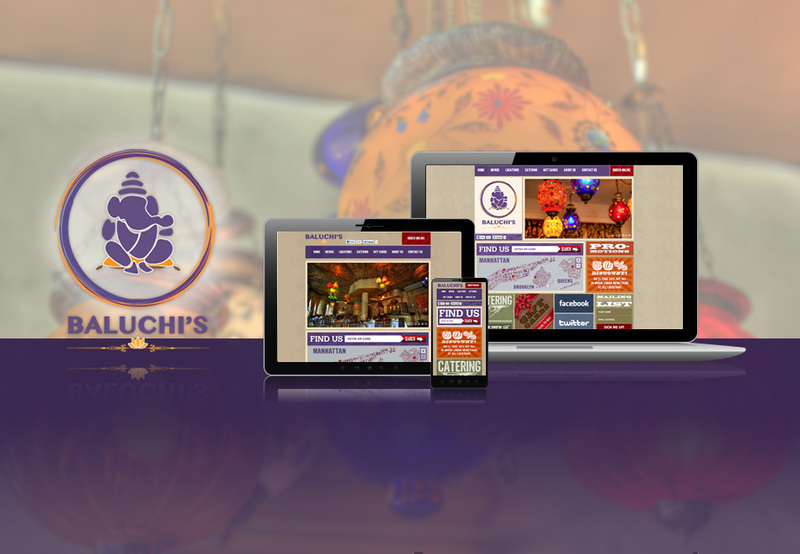 Baluchi’s realized how crucial it is to have a website optimized for both smartphones and tablets, but did not want and have to deal with managing 2 websites, one for desktop and one for mobile, especially with the amount of menu changes they make. To solve this, we made the website responsive, meaning the website changes on the fly to fit the screen you are viewing it on–or in other words, it responds to your device’s screen size. You can read more about Responsive design on the TVI Blog. 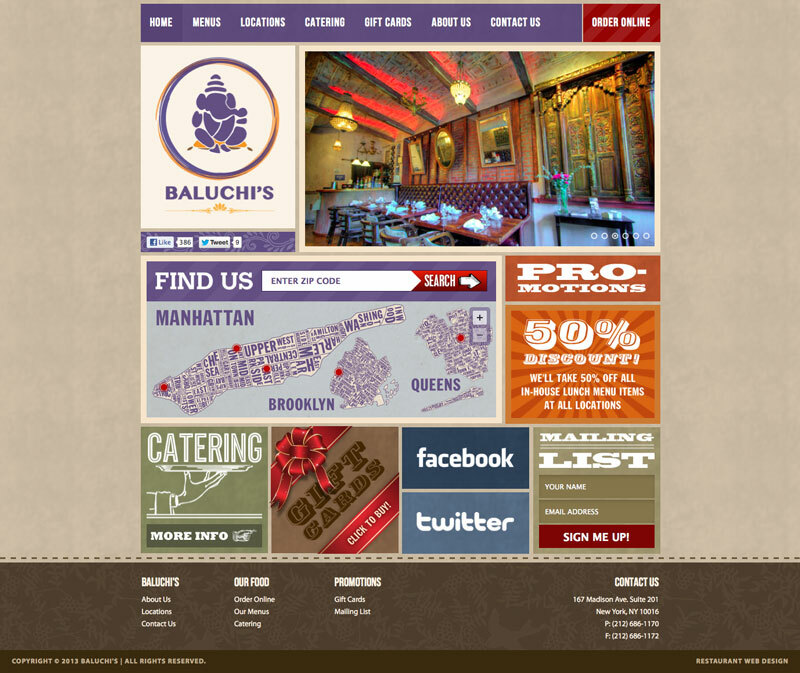 A large portion of Baluchi’s business is from online orders with a great deal of those orders coming from Seamless.com. While Seamless is a great platform to drive online sales because they are so well known to consumers here in NYC, it is no secret that they take a massive percentage of sales. 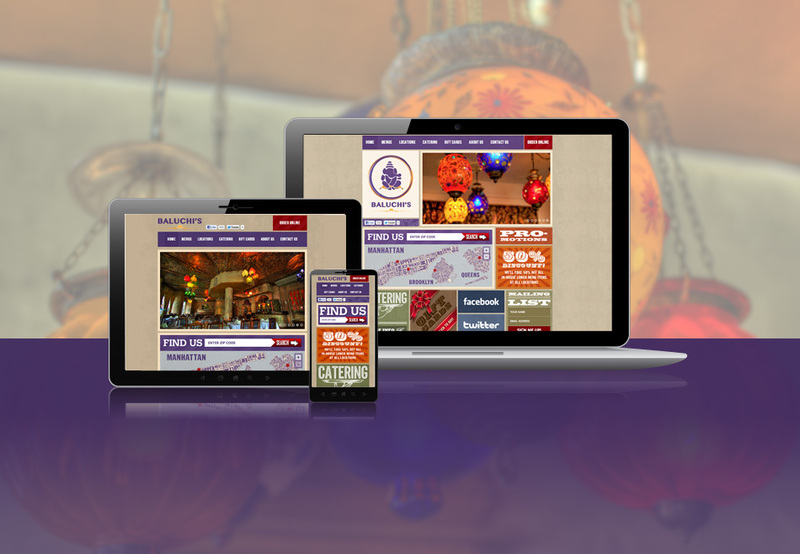 Baluchi’s wanted a cheaper solution, that would not require visitors to leave their site and would match the design of the website. 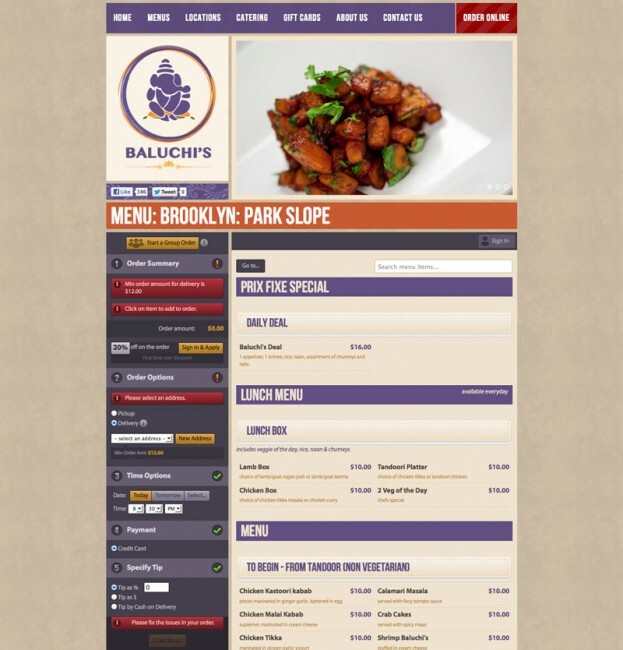 To solve this we implemented a ZupplerWorks online ordering platform on Baluchis.com, which is considerably cheaper than Seamless, keeps visitors on Baluchis.com until they pay, and maintains the website’s design. Now Baluchi’s can begin to reduce its dependancy on Seamless.com and increase their profits from online orders.